Pizza Hut is testing a lighter pizza, Skinny Slice, in a bid to freshen up its menu and regain its footing against competitors. The tests of the Skinny Slice pies began this week at several dozen restaurants in Toledo, Ohio, and West Palm Beach, Florida. The pies simply use less of the same dough used for regular pies and are lighter on the toppings, said Doug Terfehr, a Pizza Hut spokesman. Several fast-food and restaurant chains have turned to lighter offerings over the years as a way to update their images, with varying degrees of success. Burger King, for instance, recently said the majority of its U.S. restaurants would stop offering lower-calorie French fries less than a year after the so-called “Satisfries” were introduced. 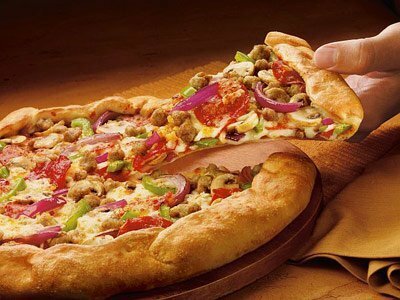 The test by Pizza Hut comes as the chain fights to win back market share. Last year, Pizza Hut sales fell 2% at US locations open at least a year. Domino’s, by contrast, saw the figure rise 5.4% while Papa John’s saw sales rise 4% in North America.